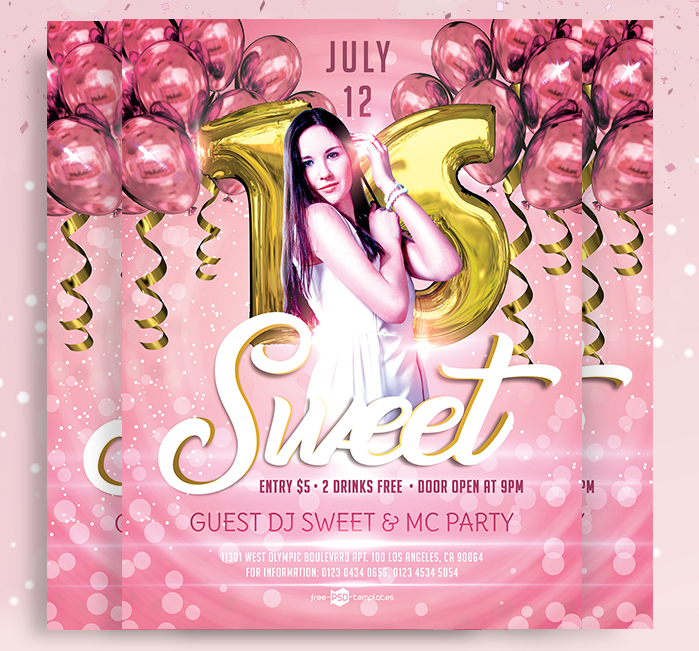 Take a quick look at this Sweet 16 Birthday Party Flyer PSD Template! It’s fully layered and well organized, so you can easily modify it the way you want and get the flawless result. Perfect for your birthday invitations, it will help you impress your friends and guests with a lovely and eye-catching style.